You have enough things to worry about. 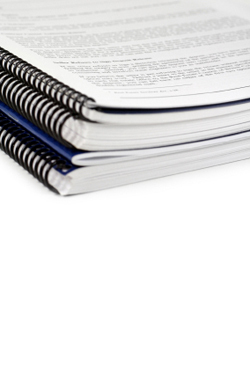 Printing, collating and binding your manual shouldn’t be on your to-do list. Let Creative Characters make your job easier by doing it for you. We'll make sure your manuals look fantastic and get delivered on time—every time.